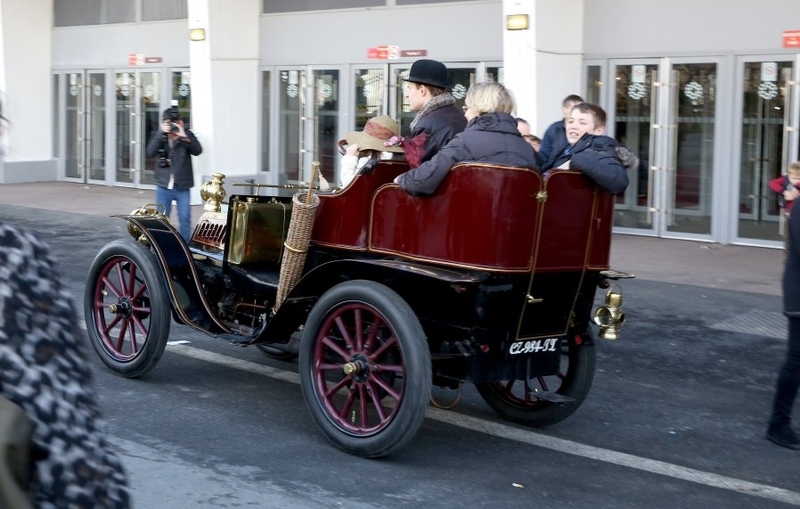 This year, Rétromobile and the Teuf-Teuf club have joined forces so they can treat visitors to 6 vehicles which are over a hundred years old, and which will be giving dynamic demonstrations outside. Some of them have rather curious names, such as Borderel-Cail, De Bazelaire, Lacoste-et-Battmann or Delaugére-et-Clayette. The bodywork was very rudimentary and drew a great deal of inspiration from horse-drawn vehicles. Very often, only top-of-the-range vehicles had doors or roofs. All these small manufacturers who were sometimes only around for a few years before falling into obscurity are now the dignified representatives of the modern era in the history of locomotion. 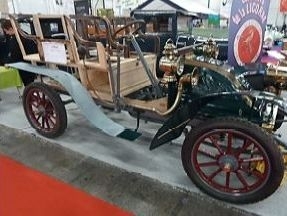 A 1908 Brouhot et Cie. This small manufacturer was based in Vierzon in France’s Loire et Cher département. 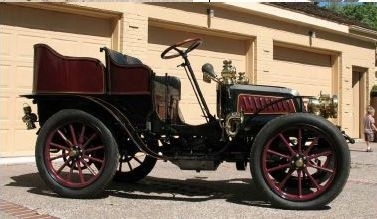 The first Brouhot came out of the workshop in 1898. One model was exported to England in 1908. The small manufacturer closed down in 1910. 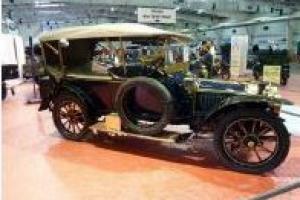 The model on show is a vehicle with very elegant Double Phaeton bodywork and an 8 hp 2 cylinder engine. A 1903 Richard-Brasier. This vehicle is the result of two, manufacturers – Charles Henri Brasier and Georges Richard – joining forces. It was behind the wheel of an 80 hp Richard Brasier that racing driver Léon Thery won the Gordon Bennett cup in 1904. The model on show features "Barrel" style bodywork and is powered by a 12 hp 1700 cm³ two-cylinder engine. A 1905 Corre. 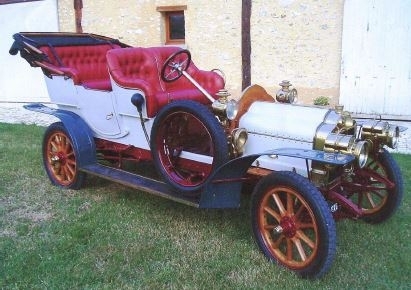 This manufacturer was based in West Paris and built its first car in 1901.Economic to run and study, the models it turned out were very popular. The model on show features “Barrel” style bodywork and a single-cylinder De Dion-Bouton engine. 1912 Renault. 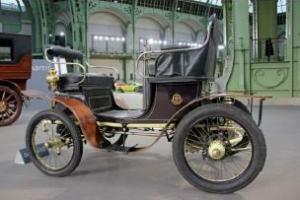 Louis Renault’s first prototype was built in 1898. The small vehicle featured a 273 cm³ single-cylinder De Dion-Bouton engine and could reach speeds of 50 km/h. Young Louis could never have suspected back then that 117 years later, Renault would be an international manufacturing empire. 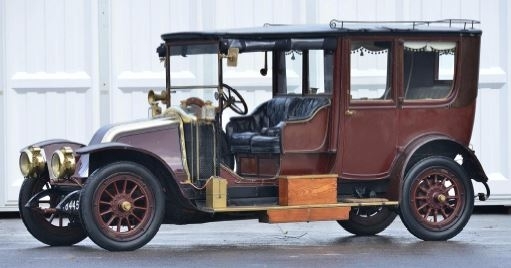 The model on show is a superb 1912 travel limousine, the impressive bodywork of which was designed by Kelner. It features precious wood, beautiful inlaid work and finally worked copper and leather. The standard of the mechanical components is in keeping with the rest: beneath the alligator type bonnet, visitors will be able to feast their eyes on an impressive 5 L cylinder capacity 4-cylinder engine. De Dion-Bouton. This French manufacturer was based in the Hauts de Seine in Puteaux. In 1883, its workshops started producing steam-powered cars. 10 years later, De Dion-Bouton developed a simple, sturdy and economic engine which it not only used for its own vehicles… it also featured in those of other manufacturers. In 1906, the company had some 3000 employees and serviced the requirements of the automobile, lorry, bus, rail car and farm vehicle market. A 1900 G-type Vis-à-Vis. This curious vehicle had space for 4 passengers sitting face-to-face. Its small but hearty 498 cm³ single-cylinder engine could drive it at speeds of up to 50 km/h. A 1912 DI-type torpedo. This elegant torpedo inspired its drivers to take to the road. It is powered by a 1100 cm³ 4-cylinder engine and features a four-speed gearbox.